Its that time of year again! Little children start straining their ears for sounds of bells and Ho Ho Ho’s, they search the sky for proof of flying reindeer and they begin to focus on actually behaving enough to help influence Santa’s decision on whether or not they are naughty or nice. 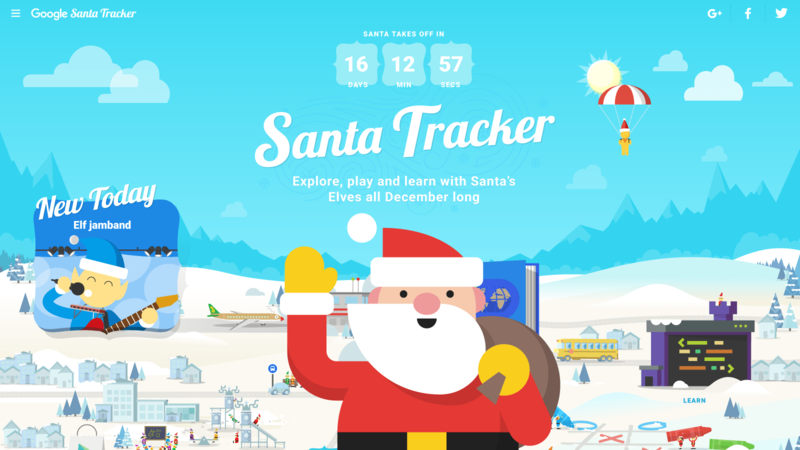 For the last eleven years Google has given the world the gift of the Santa Tracker. In the days leading up to Christmas Eve the website gives children of all ages fun activities that range from printable Christmas tree ornaments, interactive games, geography quizzes and even lessons on coding. On Christmas Eve the Santa Tracker itself goes live and you can then begin to track Santa’s progress across the world on your computer, mobile device (both Android and iOS are supported) and even on a Chromecast. You can also search for Santa directly in Google Maps or at Google.com to see where he is at and where he’s headed next. A huge thank you to Google for taking the time to help us grownups suspend our disbelief long enough to look through a child’s eyes and enjoy the fun of Christmas! Be sure to check out the Santa Tracker online or through the Google Play Store!